How friggin’ great is this? I admit to having hoarding tendencies. I’ve made references to my problem a few times throughout my blog. One of the reasons why I have such a hard time letting go of my possessions is the emotional attachment I develop for them because I think that every single piece I own is special. Garage sales? Gah. Only if you’re okay with random peeps picking through your stuff and offering what amounts to nothing for your beloved goods. Craigslist? Weirdo alert. Ebay? Who has the time to deal with the process? 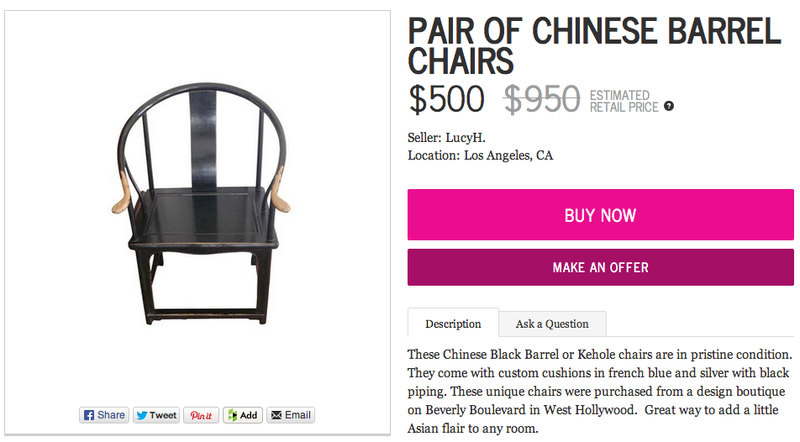 Enter the world of Chairish, an online marketplace based in San Francisco that gives you a chance to sell your prized possessions to people who will actually care about them. 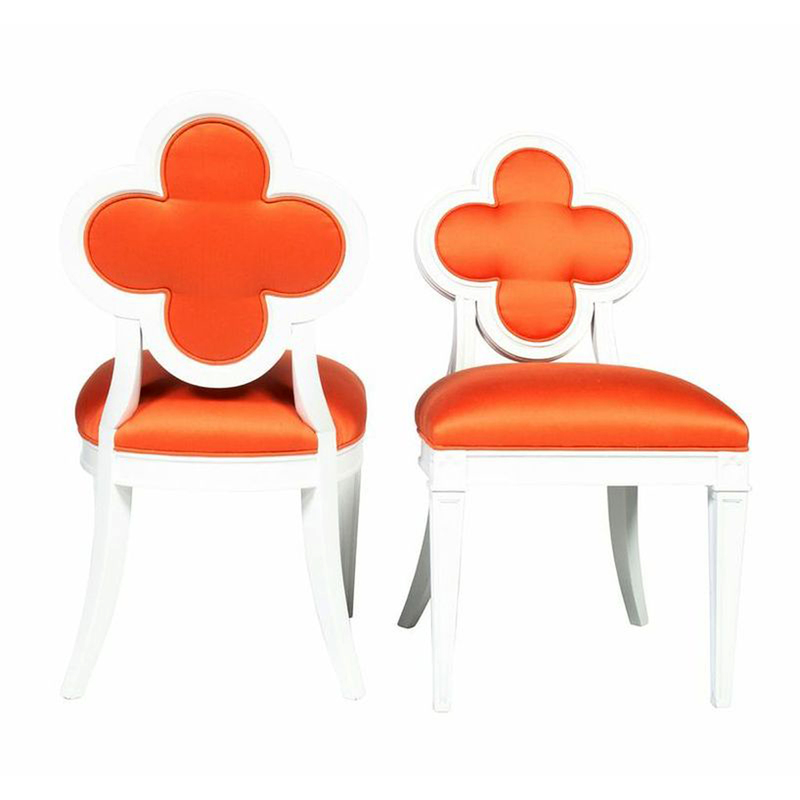 For buyers, you’ll get hooked up with high end furnishings and accessories at a fraction of the retail price. I recently chatted with Co-founder and Chief Curator Anna Brockway at the Chairish office in San Francisco. We immediately bonded over our shared love of reviving furniture and perspective that people should preserve the architectural integrity of spaces vs adopting cookie cutter looks. 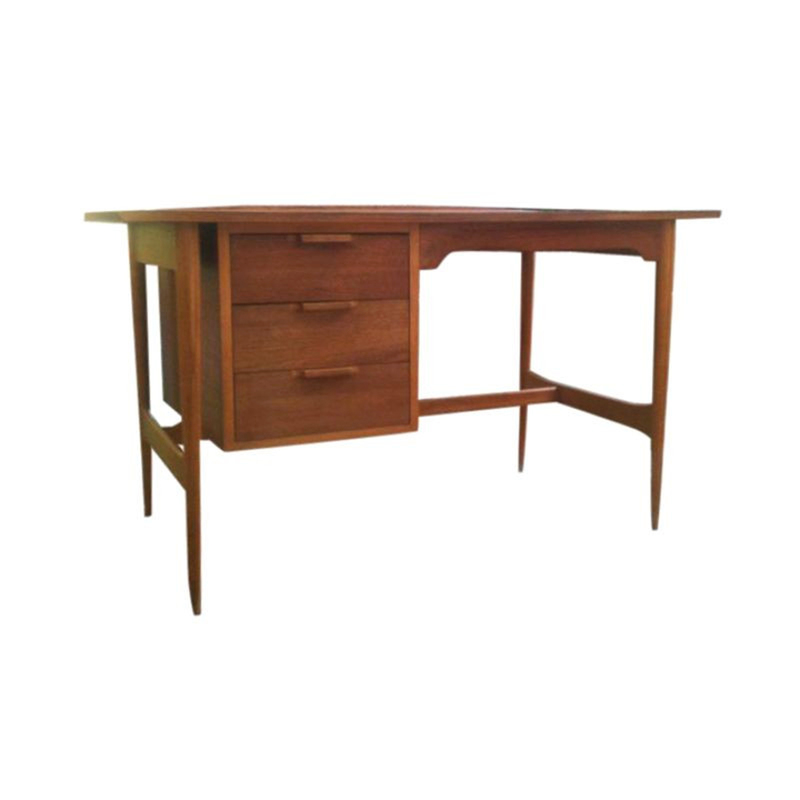 She and her husband Gregg decided that the world was ready for something like this when, in the midst of moving homes, they discovered there wasn’t a better solution to buying and selling really cool, gently used furnishings and decor. Chairish was born three months ago as a way of making the whole process easier. 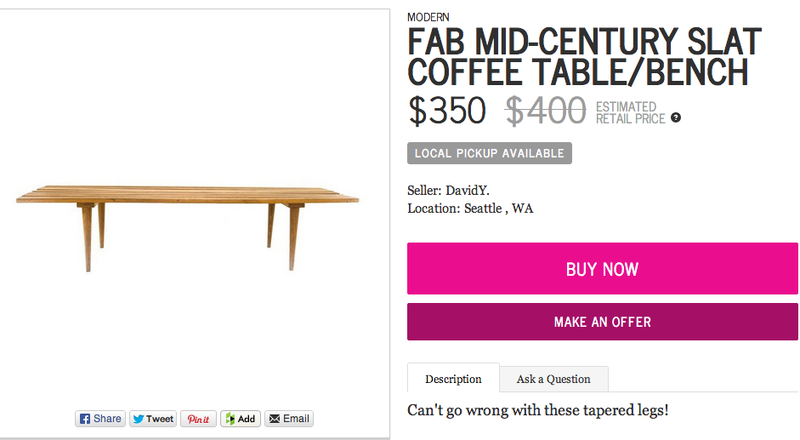 Check out this mid century slat coffee table. Remember my post on Hans Wegner’s inspiration for his Wishbone chair? You’ll find them here. If you’re looking for something whimsical and fun, Chairish serves it up boldly. I drooled at the sight of this hottie. It’s making me want to be a hoarder again. 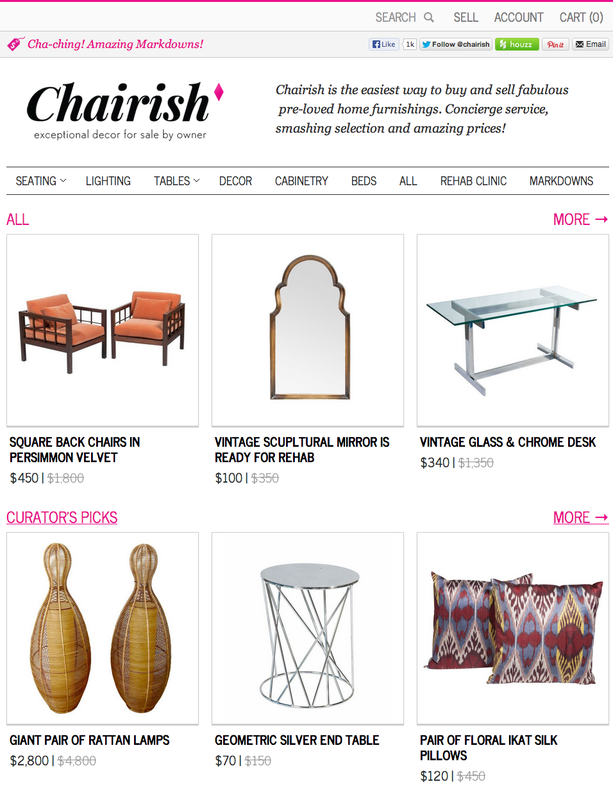 Chairish offers two services to its sellers: either take their own photos and upload it to the site for free, or use the Chairish concierge service to handle everything (including Vogue-worthy photographs and storage). Chairish takes a cut for doing all the work, but it seems worth it. Before you feel the urge to get rid of everything in your attic, you need to know that every item that is submitted goes through a vetting process to keep the Chairish mission in check of making the world beautiful, one room at a time. Check it out. You’ll be sitting pretty.